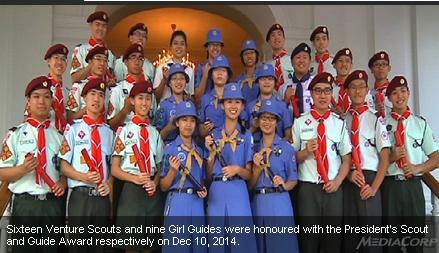 SINGAPORE: Sixteen outstanding Venture Scouts from the Singapore Scout Association (SSA) and nine Girl Guides from Girl Guides Singapore (GGS) were honoured by President Tony Tan Keng Yam at the Istana on Wednesday (Dec 10) with the President's Scout and Guide Award respectively. These awards are the highest honour given to outstanding students who have dedicated their time and service to both the movement and the community. Gan Jia Yi from Dunman High Scout Group, who is one of the award winners, credited his achievement to the support from people around him. “Napoleon Hill once said that the starting point of all achievement is desire. I would not agree less, with the addition that the key to achievement is none other than the support from the people around," he said. Mrs Joy Balakrishnan, President of GSS, said: "We are very proud of our nine President's Guide Award recipients. They have come through the rigorous testing process showing strength of character, moral integrity and self-assuredness. As leaders of the future, they have a dynamic spirit of service to country and the global community. Each of them truly embodies what it means to be a Girl Guide in our world today." 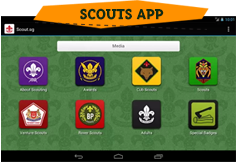 SSA Chief Commissioner Tan Cheng Kiong said: "I am proud of the achievement of the 16 Venture Scouts. 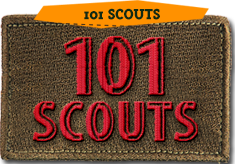 I strongly urge them to continue their scouting journey by providing their leadership and sharing their scouting knowledge and skills with ground units particularly those units which are in need of more leaders and help improve the quality of scouting at the ground level. As role models they should endeavour to inspire younger members to scale greater heights."